Netherlands is Europe’s largest eggs and egg products exporter with an estimated flock of more than 30 million birds. The tip off started with the Belgian authorities and Netherlands quickly follow through with their own advisory. 180 farms were barred from sending eggs to retail and millions of eggs recalled and removed from shelves across EU as the Dutch Food and Product Safety Board (Nederlandse Voedsel- en Warenautoriteit, or NVWA ) grapples with eggs contamination. 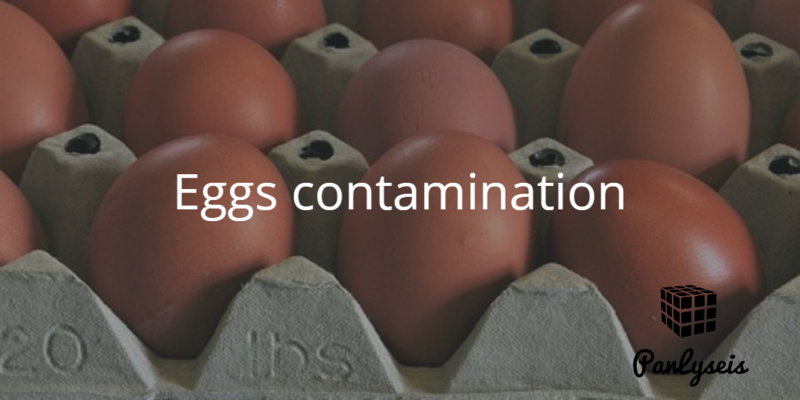 It was reported that eggs were contaminated with pesticide fibronil. Fibronil is commonly used to control lice and fleas in companion animals but banned from being used on animals destined for human consumption. Reports said that the eggs have been on the shelves for as long as one year. ChickFriend, the company behind the scandal, treated some farms with for blood lice in June last year. Investigations are on-going to determine if the company is aware of the toxic insecticide. Economically, some Dutch farmers faces the prospect of bankruptcy as the egg scandal comes after the November where 190,000 ducks were culled due to a strain of highly infectious bird flu. Panlyseis believe that worldwide, regulatory authorities will rein in service offerings from ingredient and other service providers. More importantly, we advised that clients to have on-going testing and auditing in place to ensure that impact of food contamination is reduced to the lowest possible and not from negligent. This entry was tagged contamination, food safety. Bookmark the permalink.